What it’s all about: Five Sentence Fiction is about packing a powerful punch in a tiny fist. Each week Lillie posts one word for inspiration, then anyone wishing to participate will write a five sentence story based on the prompt word. Darkened limbs from seeds I sow." The knight stood in front of the sorceress, arms folded, a smirk on his face. "Do you really expect me to be frightened by some silly rhyme?" "If you don't like my poetry," she cackled, "perhaps you'll enjoy my gardening." From the arc traced by her arm, a handful of seeds flew from her fingers landing at the knight's feet. His annoying simper disappeared as the first tendrils snaked their way under his armor. As a side note, is Microsoft Word sexist? 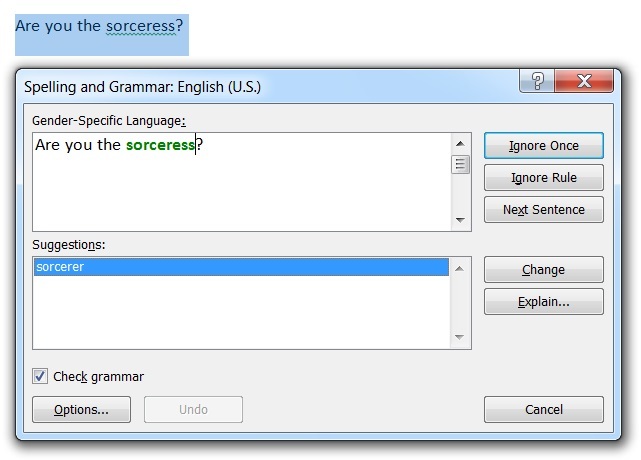 It doesn't seem to understand the word 'sorceress' in my version and wants to replace it with 'sorcerer.' But sexist? Probably not. More likely just written by a fan of science fiction rather than fantasy. Or it never occurred to Microsoft that someone might want gender-specific language. Still, it is rather annoying, especially since I'm working on a longer story about a sorceress. I can see the message now: "You have 8,423,302 errors..."
Before I critique your poem could you tell me if you have any little seeds at your disposal? This, I think, is your best one yet. I can see the scene; I can feel the menace and the fear. Excellent! No, I don't have any seed like those! Perhaps a few for basil or oregano to plant in the spring. And your critiques are always welcome! That's quite a fantastic take on the prompt :). Nicely written story :D.
Thanks! Glad you enjoyed it! Grimm & Grimmer III - Finally!